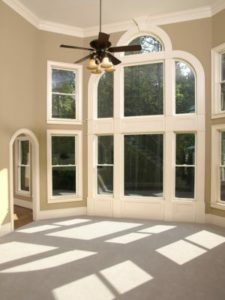 If you need new windows for your home in the Collierville, Tennessee, area, you may be anxiously searching for the best company to partner with for such an important investment. At RAMCO Home Improvements, we can assure you that we are the right team for the job. Since our founding more than two decades ago, we have provided homeowners with new, high-performance windows that are both gorgeous and durable, and we install them with all of the precision and care that you would expect from a locally owned company that truly cares about its customers. In fact, we maintain an A+ rating with the Better Business Bureau as evidence of our commitment to providing top-quality products and workmanship. The windows that we provide to homeowners in the Collierville, TN, area are manufactured by two of the most highly regarded names in the industry – Sunrise and Marvin Infinity®. For those homeowners who want vinyl, Sunrise windows are the perfect product, since they are made from premium, virgin uPVC that is known for its superior thermal performance and durability. Marvin Infinity® windows are made using Ultrex fiberglass, which replicates the charming look of wood but does not come with all of the pesky maintenance issues. For additional information about having us install new windows on your Collierville, TN, area home, contact the pros at RAMCO Home Improvements today.